Retirement and the changing patterns of work. The pace of change is more rapid than ever. The patterns of our working lives have always been subject to change, but the pace is now more rapid than ever. This is particularly true when it comes to older workers who no longer view retirement as a fixed date. There was a time, not so long ago, when many people’s lives fell neatly into three distinct stages – they were educated, embarked upon a career and then retired. The date at which people chose to retire was usually in line with their state retirement age, meaning 60 for women and 65 for men. Today, retirement is no longer about clearing your desk on your 60th or 65th birthday and facing a work-free future. By the beginning of the decade, it was far more common for older employees to opt for reduced hours, and instead of the abrupt end of work scenario experienced by workers in previous decades, taking a more considered approach to their retirement. ‘Pre-tirement’, the process of gradually reducing the number of hours worked, is now a widely-accepted concept which generally begins in people’s 50s and can run into their 70s. With the advent of the new pension rules launched in 2015, more people than ever before have a choice. They can retire as early as 55 and take their pension then, remain in work, or even pursue a new career. Many more businesses than ever before acknowledge that older workers have valuable skills and have an important role to play in upskilling younger employees. 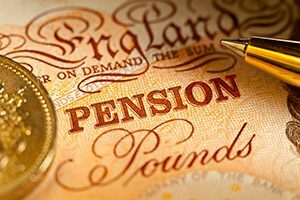 With those nearing retirement often wanting to remain physically and mentally active, remaining in employment can produce income to supplement their pension or provide a stimulating outside interest. What is clear is that it’s important to plan and save for retirement as early as possible in your working life. That way when the time nears, the options of retiring, working part time, changing career or doing voluntary work are all open to you.